One of Imola’s strengths is its location in the heart of a territory that offers so many interesting places. The many ideas for sights and events to attend during your holiday, are capable of satisfying visitors who come to Imola for relaxation, as well as those who travel to our city for business. Discover Dozza, just 10 minutes away from Imola. The town is famous for the murales on the walls of its houses, but also for the Sforza Castle, the Enoteca Regionale dell’Emilia Romagnaand the legendary Celebration Day of the Arzdore, brilliant local women cooks who prepare fabulous tortellini and tagliatelle! Culture, history, great cuisine and above all relaxation: these are the winning ingredients of Riolo Terme, a small town just 20 minutes away from Imola. Riolo is famous above all for its thermal waters, ideal for treatments of the digestive system, of asthma, of rhinogenic deafness and also for rheumatisms and arthrosis. Riolo is surrounded by the Vena del Gesso Park, circa 10 sq. km. of gorges, rock cracks and irregular slopes: a suggestive setting for various difficulty levels of excursions. 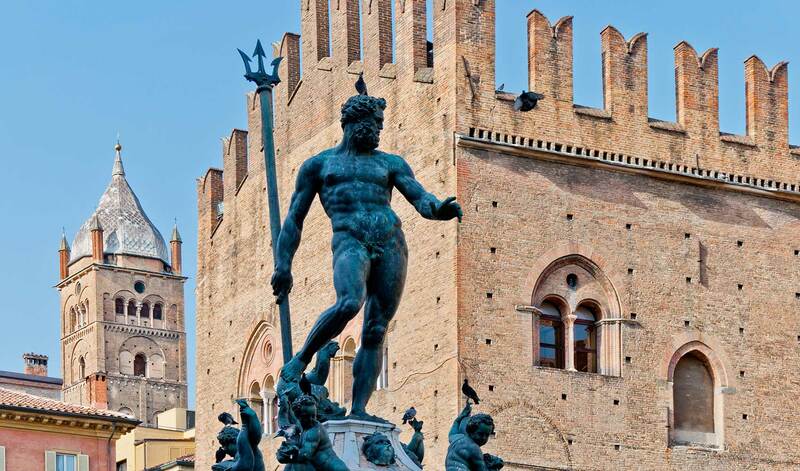 Just over 20 minutes away from the Olimpia Hotel in Imola, is the fascinating world of Faenza. Well-known through the centuries for its ceramics, the city also offers a rich cultural heritage, including the Arts Academy, the splendid 15thì century Cathedral and the central square, Piazza del Popolo. The international Museum of Ceramics is certainly worth visiting, with its collection of Faenza-made, Italian and international ceramics. Just 35 minutes from here is Brisighella, a small town on the Apennine located in the province of Ravenna, along the road that leads to Florence. Among its most recognizable features are the 14th century Manfredi Castle and the characteristic “Watch” tower, each located on its own rocky knoll. Included among the Most Beautiful Towns of Italy, officially registered as a Slowcity and winner of the Orange Flag of the Italian Touring Club, Brisighella is crossed from side to side by the historical Via degli Asini (lit. Road of the Donkeys), which was once the itinerary for animal-driven caravans transporting materials from the area’s chalk quarries, and now more resembles a long and romantic portico. 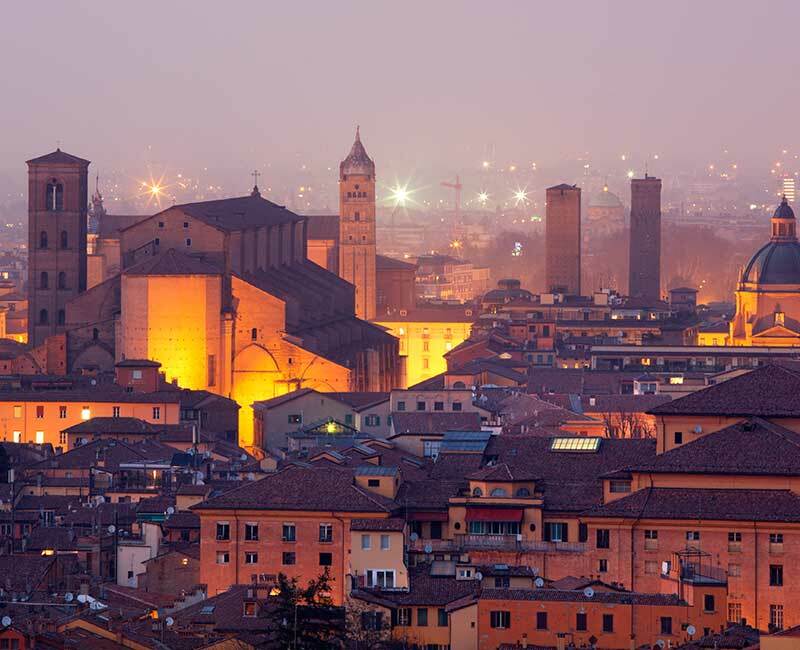 45 minutes from here, you will have the opportunity to visit Bologna, a jewel of a city in terms of art, culture and entertainment. This is where the first university in the world was founded: therefore it should be no surprise that the city’s main protagonists are still its youth and students. Piazza Maggiore is the pulsating heart of the city and the Fountain of Neptune (or of the Giant) is certainly one of Italy’s most beautiful. And of course we can’t forget to mention the two leaning towers, the Torre degli Asinelli and the Garisenda. As you can see, a world of opportunities awaits you. If you choose to stay in Imola for a few more days, you can discover the many secrets of this marvelous area!